This exhibition comprises a selection of gelatin silver photographs sent out as press prints by NASA in the 1960s and ‘70s to publicise the American agency’s efforts to land men on the Moon. These images were often transmitted to Earth as radio signals from spacecraft and then reconstituted by computers in the form of photographs, before being distributed to the press via the electric telegraph. On other occasions, photographs would be taken of images on television while they were being broadcast to Earth in real time. 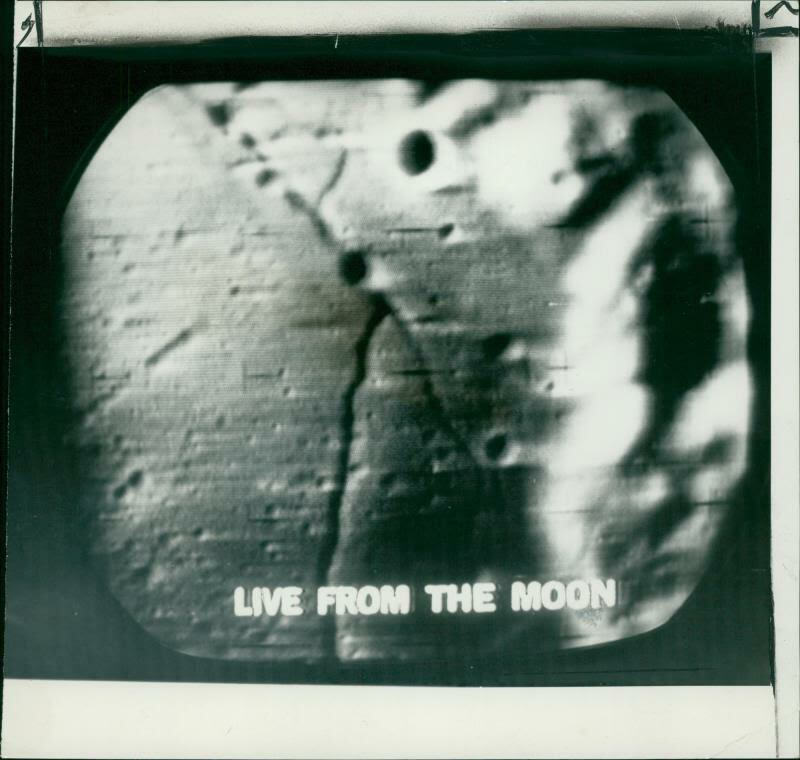 Or sometimes the photographs were taken by the astronauts themselves, from the windows of their space capsules. However they were produced, the resulting photographs were often strange to look at, hovering between abstractions and documents, and requiring extensive captions to explain their otherwise puzzling appearance. Tracing a history of human efforts to venture into space, these photographs also offer an important staging point in the development of digital imaging and therefore in the history of photography itself. The exhibition gives an insight into the circular Influences that humanity and technology have on each other. Technology enables us to view ourselves and our planet in new exciting ways and allows us to analyse our behaviours and interactions with each other and the universe. Live From the Moon will be shown at Suite Gallery for Photival. Curated for Photival by Geoffrey Batchen from his own collection of space photographs. Batchen, a world-renowned photo-historian, is Professor of Art History at Victoria University of Wellington. His books include Burning with Desire: The Conception of Photography (1997) and Emanations: The Art of the Cameraless Photograph (2016). His most recent exhibition was co-curated with Deidra Sullivan in 2018 for the Adam Art Gallery and titled Still Looking: Peter McLeavey and the last photograph.